With locations in the U.S. and Canada, we are an award-winning, full-service, multi‑disciplinary marketing design agency that focuses on the development of strategies & brands, and deploying them in print, broadcast and new media. We are a marketing + design collective comprised of strategists, producers, graphic designers, photographers, illustrators, copywriters, musicians and other industry professionals. 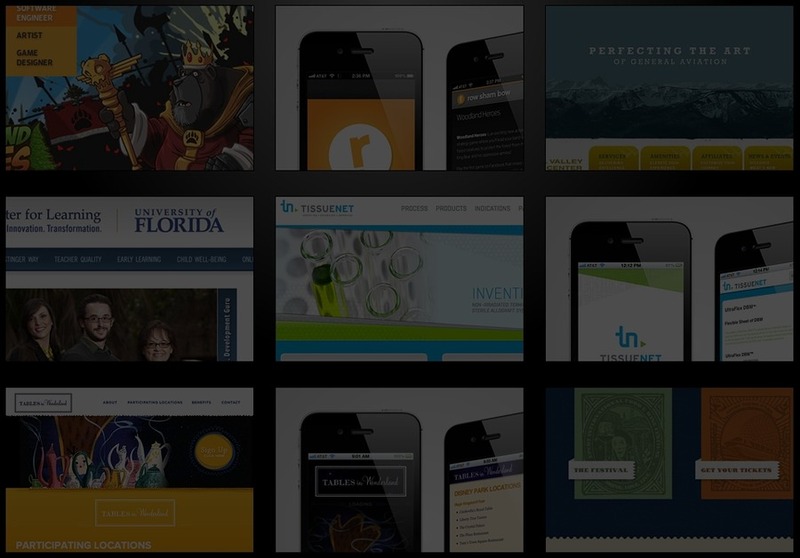 Dimmed thumbnails from our interactive portfolio page.